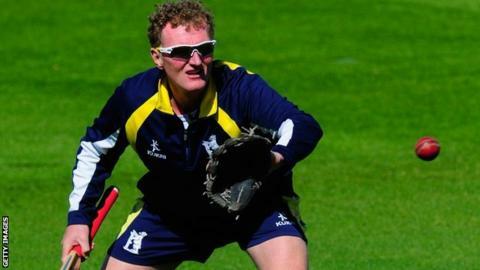 Warwickshire's failure to reach the quarter-finals of the One-Day Cup is a result of their poor start, says director of cricket Dougie Brown. The Bears took one point from their first three games and Wednesday's wash-out in their final group match against Kent ended their last-eight hopes. "We can't think we're unfortunate, we started poorly," Brown told BBC Coventry and Warwickshire. "The games that we lost, we lost very heavily, and that cost us." Big early defeats by Nottinghamshire and Essex undermined the Bears' hopes of advancing, and Brown said the match schedule did not help. "We had no time to prepare for the competition," he added, after taking his side through 14 days of cricket in a 26-day period across three competitions. "We knew what the schedule was like but we went from a T20 game at Headingley, straight to Nottingham and then to Lord's. "Flitting from one competition to another while you're on the road, and playing your first four One-Day Cup games away wasn't ideal." Although out of the One-Day Cup, Warwickshire have a chance to defend their T20 Blast title at Finals Day on 29 August and are eyeing runners-up spot in the Division One of the County Championship. England all-rounder Chris Woakes is set to miss Friday's match at Nottinghamshire with a hamstring strain as the Bears look to close the 12-point gap on second-placed Middlesex.